Baseline PIC microcontrollers have long been the 8-bit microcontroller preferred by engineers around the world for a wide array of applications. 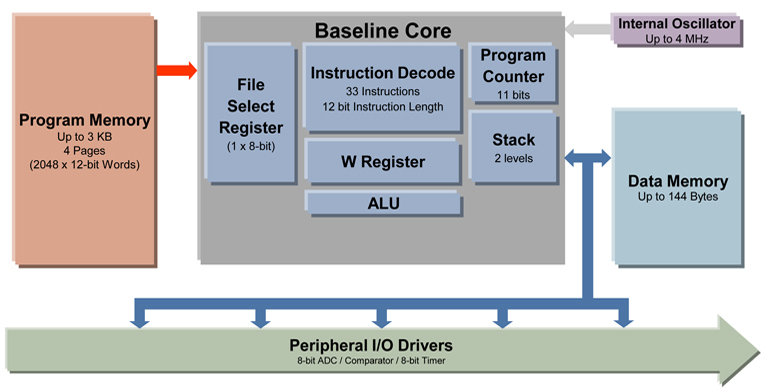 Baseline PIC microcontrollers utilize a 12-bit program word and provide the right amount of features and options to minimize expenses and get the job done right. With so many options available, picking the right Baseline Flash PIC microcontroller for an application is quick and easy.